The offer is only open to the first 5,000 new customers to make the switch. Your friend must apply for the account by Monday the 5th March. They must start the switch by 4pm GMT on Thursday the 15th March and complete the switch by Friday the 23rd March. Visit https://www.tsb.co.uk/recommend-TSB/ to begin the referral process. 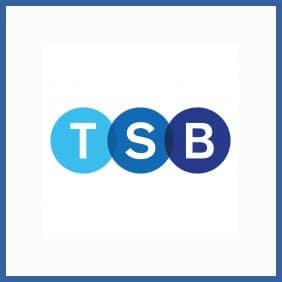 To be eligible you must hold an existing TSB Classic Plus account, the form requires your account number and sort code. Ensure your referrer has your email address and details (and your permission to use them). Await your TSB referral sign-up email. Follow the steps within the email: apply for a Classic Plus account by 5th March 2018. Within 28 days you must complete the switch via the Current Account Switch Service by 4pm GMT on 15th March 2018. If you’re a TSB account holder (specifically the Classic Plus current account) you can help a friend sign up for a new Classic Plus current account and get £75 into the bargain. This offer is only open until Monday the 5th March so get your skates on. Looking for a referral code? We don't have one yet. Check the comments below for codes from other visitors or check back on this page later. Always be sure to read the Terms & Conditions for any offer listed on refer-a-friend.uk before taking part.